Set in Elseworld, Batman is on a very different adventure as he tries to protect Gotham from the supernatural forces holding the citizens hostage. 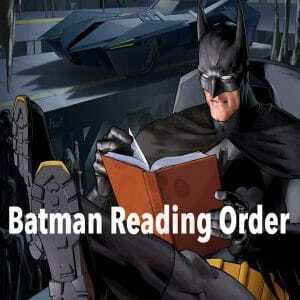 Batman: Haunted Gotham is a true standalone book set in a completely different universe called ‘Elseworld’. 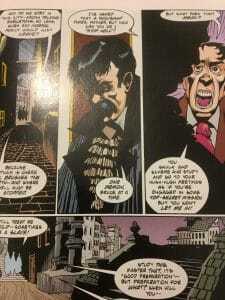 Haunted Gotham is set in 19xx where Thomas and Martha Wayne are still alive, Bruce is an adult and not Batman (yet) and Gotham is not the modern monstrosity it is in the mainstream books. Not only that, Haunted Gotham is also host to the supernatural involving ghosts, werewolves, zombies and even aliens! any familiar faces outside of the Wayne Family and James Gordon. Haunted Gotham is also very confusing at times and some characters and events are just not explained, the Batcave and various vehicles were just already there. Batman also made great use of a flamethrower which just so happened to be a part of his very first Bastsuit. It’s an old wordly type of setting with an odd mix of old architecture and some new. 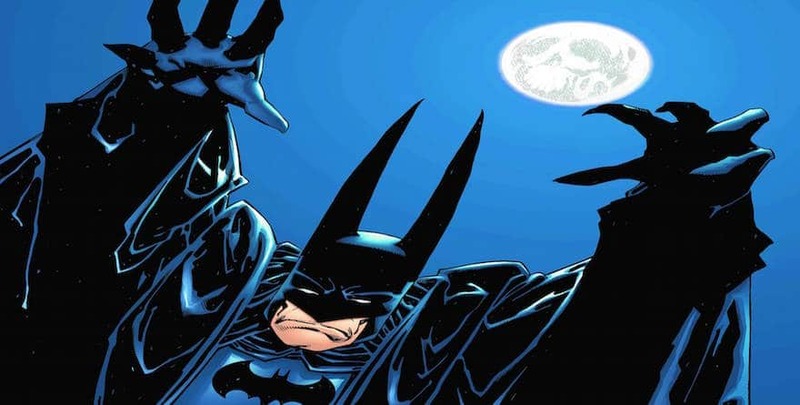 There isn’t a plethora of gadgets, cars or any type of computer in the novel which gives its a really odd feel – especially when you’re used to Batman using all sorts of technologies to fight crime. Thomas and Martha Wayne are also alive which takes some getting used to and Bruce is an adult who has not yet assumed his destiny as the Dark Knight. I can see how this can put some people off but I felt it was a bit of fresh air, at this point I had just finished I am Suicide which didn’t bowl me over so I welcomed the change. The plot line was also very much ‘out there’ which involved a lot of the supernatural and eventually the extra terrestrial; it was fairly similar to Gothic and at times Castlevania-esque. 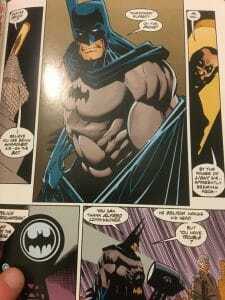 It started off brilliantly, exploring what the role of Batman would be in this new Elseworld as well as introducing some new foes in the form of the Dark Lords, a patchwork ‘Joker’ and Snakeface. His origins were also changed slightly whereas his parents do indeed die but this time all of a sudden, by a Werewolf and seemingly in a planned event. This part seemed rushed, without much thought and at times downright stupid – especially when the ghost (yes, really) of Thomas helps him on his new found quest. 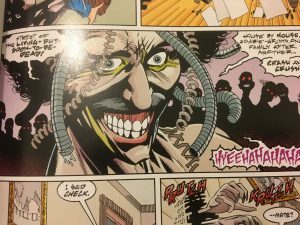 After a great opening chapter (Haunted Gotham) the book seems to spiral out of control before it ends in complete nonsense. This is the trouble with creating a standalone story in a completely different world – there just isn’t enough pages to be able to explain things fully. In theory, Thomas and Martha’s death could have been avoided here if they’d just let Bruce be Batman sooner…but they didn’t and now they’re dead and hundreds of townspeople joined them. The art isn’t perfect, the supporting casts are forgettable and Batman goes against Batman’s own core principals which is to kill. 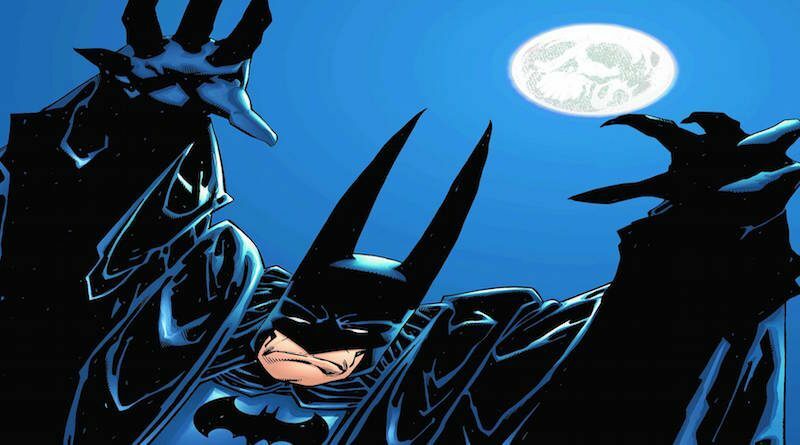 Although this can be disputed since a lot, if not all, of Batman’s kills involved the undead. Starts off well and just goes downhill from there. A good book if you want something a bit different but it simply isn’t on part with most Batman books. If you get it at a bargain price like me then great, if not don’t worry about giving this one a miss.